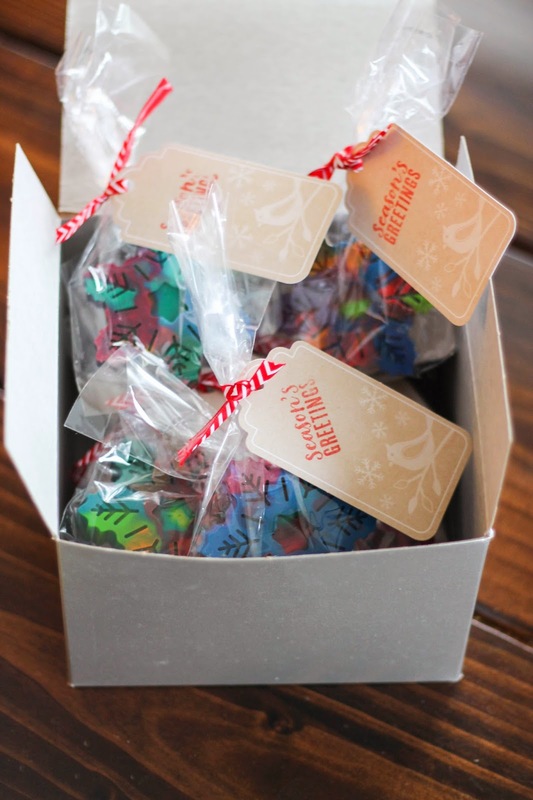 This year, like the day before little man's last day of preschool before winter break, we thought of the idea to make something for all of his little classmates. I remembered I had a few snowflake molds and asked Brayden what he thought of making snowflake crayons for everyone and he thought it was a great idea :) So off the 4 of us went to the store to gather some supplies. 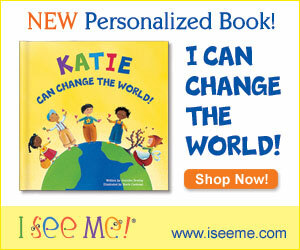 This little gift was really very inexpensive and of course, super easy. We headed to the dollar store for the crayons (because you need alot) then to Michaels for the gift bags and gift tags. The most time consuming part of this little craft is peeling the paper off the crayons - I'm just lucky this is one of Brayden's favorite things to do. First peel the paper off all of your crayons, then break your crayons up (another one of my little guys favorite things to do!) Place them in the mold to about halfway. Now most directions I read said to bake at 220 F for 10-15 minutes, but this did not work for me. I'm not sure if it's because I used dollar store crayons, but I had to up my heat to 350 F and baked for almost 20 minutes. Once they are melted, take out and let cool. 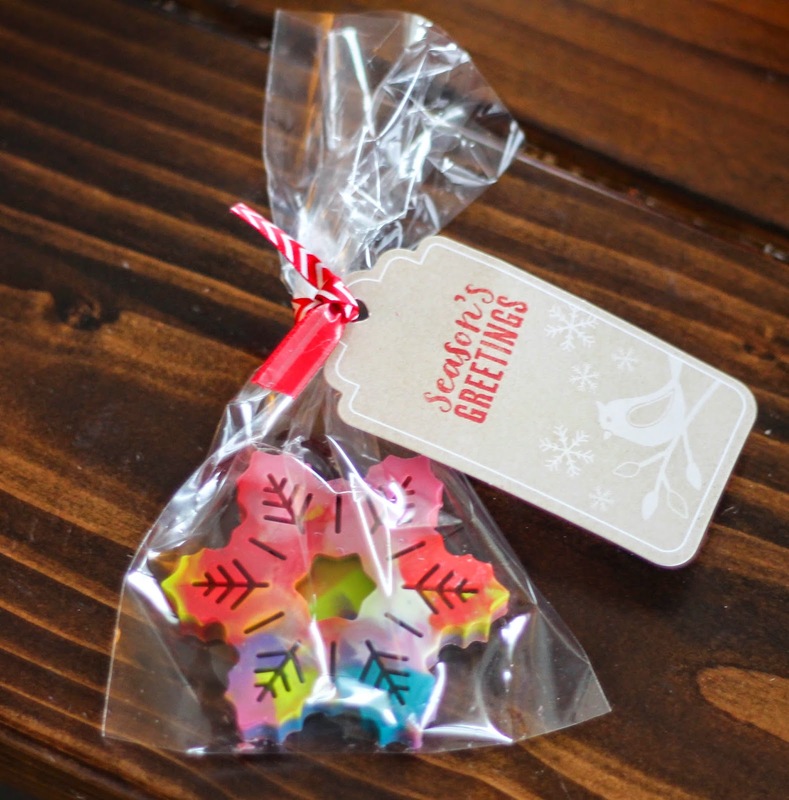 Once cooled, pop them out and wa-la - super cute and easy snowflake crayons!